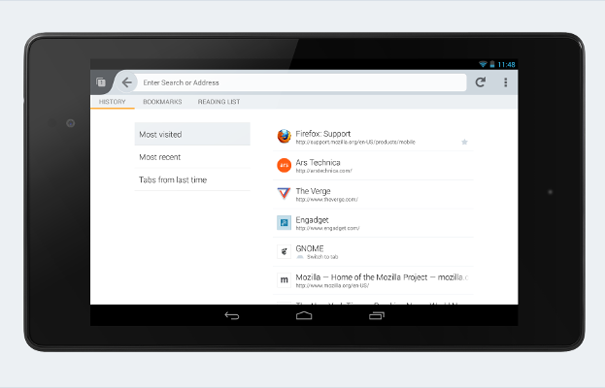 Mozilla is on the way to come up with a revamped version of Firefox web browser on Android. The company has finally released the nightly version as a test drive. It is made available to you on its website for download. Lucas Rocha from Mozilla states in a recent interview that his team is constantly working to get the revamped features ready. He plans to release it as a part of Firefox 26. Rocha further claims that Firefox revamp will be the biggest UI change after the first release on June 2012. The upcoming restoration will not only include UI changes but also bring changes on the underlying code for a better, cleaner and streamlined Firefox for Android.